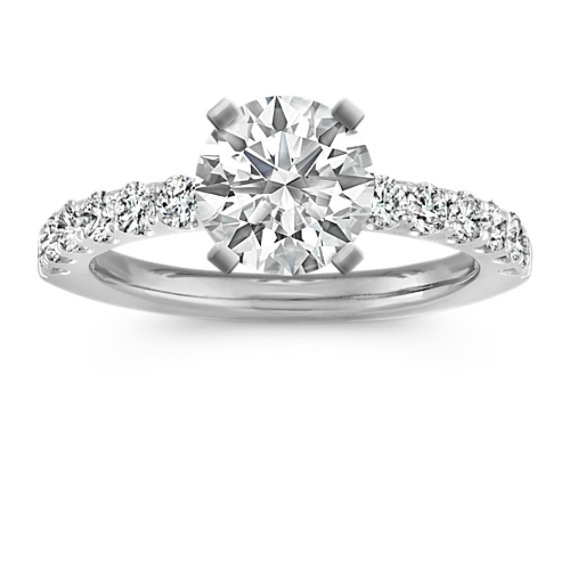 Diamond Platinum Engagement Ring | Shane Co. This classic design features twelve round pavé-set diamonds at approximately .49 carat total weight. The superior quality platinum setting pulls the look together. Simply add a center diamond in the shape and size of your choice.